Bagdogra is a census town in Darjeeling district in West Bengal. It is surrounded by lush tea gardens and also it is well connected to the four metro cities by air, rail and road network. It has a population of over 50 thousand but it receives millions of tourists every year. And, since it is connected with major cities, people from nearby areas come to Bagdogra for commuting. They also rely on this town for medical facilities. 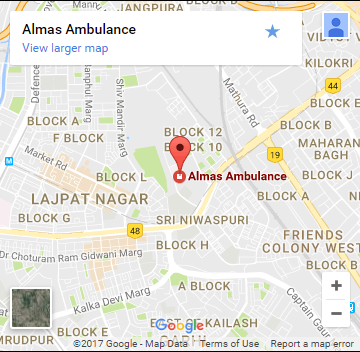 Air ambulance services in Bagdogra shifts patients to Kolkata, Delhi, Chennai and Mumbai for better medical facilities. Introduction of air transport service for patients has improved quality of medical facilities this town has to offer. Bagdogra also has an improved rail network that connects this town with nearby areas. It is also a lifeline for people living in the villages, town and cities connected to this town by rail network. They can easily access medical facilities taking advantage of train ambulance services in Bagdogra that is equipped with latest medical devices to take care of even critical patients. A team of highly qualified healthcare professionals that include senior doctors take care of the patients being transferred to Bagdogra hospitals or to the hospitals of any other Indian city. Airport: Bagdogra Airport is located about 16 km west of the city of Siliguri.